In investor notes seen by AppleInsider, both UBS and Macquarie offer the view Apple is trying to push revenue through its Services business. For Macquarie, the family sharing across services "highlight Apple's effort to get everyone in the same ecosystem," while UBS believe the event "represents a key step in monetizing its vast consumer relationships." The main highlight of the event, Apple TV+, was as UBS expected, though the lack of pricing information "made it a little uninteresting. "The quality of content will be key to its success, though a fall launch suggests to the analysts it's not quite ready for consumption. "Execution and the pricing structure for Apple TV+ are key questions" suggests UBS, pointing out Apple Music grew to over 50 million subscribers in 3.5 years, while Netflix grew 6 million a year for the last six years in the United States alone. "The point is that good content can really be monetized and we think there is certainly room at the table for Apple," the analysts state. Macquarie found Apple TV+ was "as expected," but posited that if Apple had between 10 million and 40 million subscribers, Apple TV+ would represent between 2 percent and 11 percent of the full year 2021's revenues, based on pricing of between $9.99 and $14.99 per month. Apple News+ was just as unsurprising to both sets of analysts, though UBS considers the magazine subscription to be "more interesting" than video for the moment. To Macquarie, Apple News+ could form between 2 percent and 5 percent of fully year 2021 revenues if 10 million to 25 million people subscribed. Little was offered about Apple Arcade by UBS, except it was "somewhat surprising" to see, and "may attract some new customers." Macquarie reckons it will contribute between 1 percent and 2 percent of 2021's revenues on a subscriber base of 5 million to 10 million users and a $9.99 subscription. 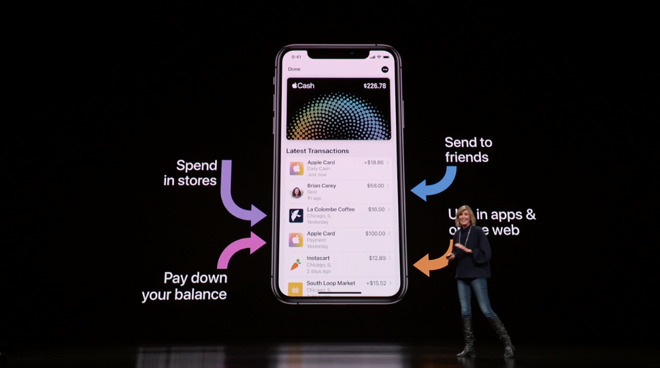 Apple Card, the company's entry to the credit card market, may make Apple Pay and Apple itself "more part of the consumers' daily life and increase stickiness of the ecosystem," UBS believes, though it "may not be material contributors to revenue." Macquarie's Goldman Sachs analyst David Konrad suggests that, while the two brands are powerful and Apple Card is certainly competitive, "we've already seen similar products in the marketplace and may not be different enough to gain meaningful market share in an extremely competitive environment." While it is interesting, Apple Card won't be a significant contributor to Apple for the "next few years" in Macquarie's estimation. In its note, Macquarie also highlights how Apple is continuing to preserve the privacy of its customers, with a "push back against advertising." 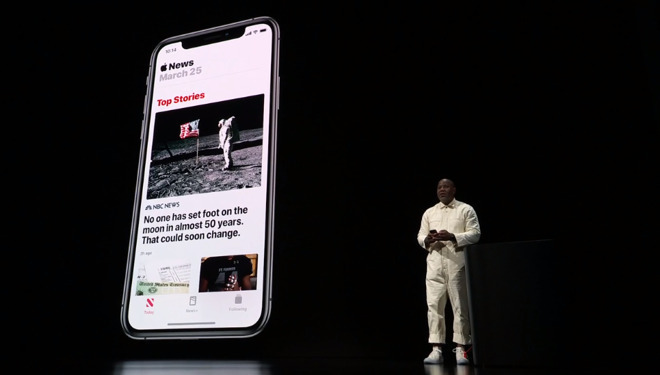 The applause during sections announcing no advertising for video, privacy for Apple Card data, and the inability for advertisers to track Apple News readers was certainly noticed by the analysts. UBS and Macquarie's notes follow similar advisements to investors from JP Morgan and Cowen, which suggested Apple could have gone further in providing detail about its upcoming Apple TV+ service. For its valuation, UBS puts Apple at a price target of $215. Macquarie however, reiterates its "neutral" position on the stock with no changes to earnings or its 12-month target price of $149, well below where it ended at the close of business after the event on Monday.